Flash Global helps rapidly expanding companies attain visibility, scalability, and predictability through optimized services and strategies, while meeting their global business needs. We understand the requirements of international companies and all of the compliance regulations along the length of their service supply chain. Flash can optimize your global service supply chain operations, using the latest technology and software to enable you to see the entire process without missing the smaller details. Flash helps maximize cost savings, efficiently and with a low cost of entry. Building visibility into an end-to-end global supply chain presence is well worth the investment. When you partner with Flash Global, our teams and resources operate as an extension of your company’s existing infrastructure. We work together to develop the agility to shift gears, easily monitor and address concerns, enhance communications, and use better practices to evolve with an eye toward future success. Think bigger and work better with Flash Global. 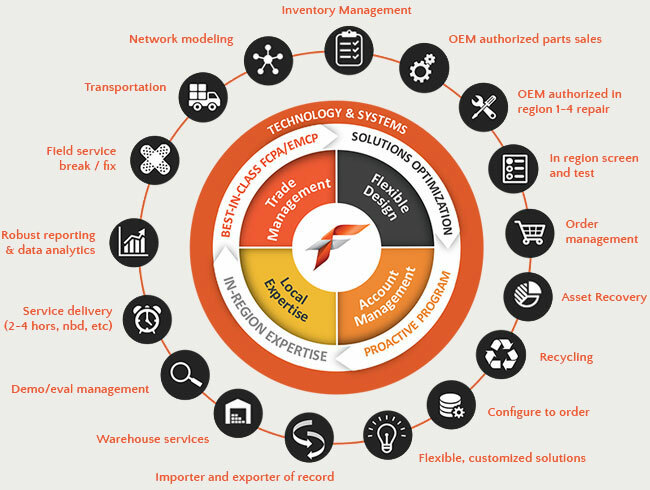 For engineered service supply chain solutions, contact Flash Global.